Young Belgian Val Hillebrand arrived last minute in Le Mans for the 75th edition of the legendary 24 hours of Le Mans. The French Courage team integrated the former FIA Sportscar World champion in its team to complete the line up of the #10 LMP1 Courage LC70 AER. Val will share the LMP1 with French endurance specialist Jean-Marc Gounon and French young gun Guillaume Moreau. 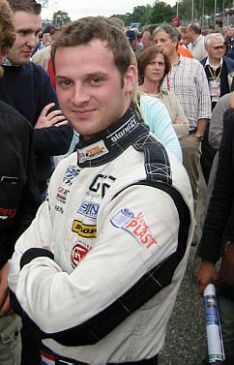 Val Hillebrand is the second Belgian driver to join the Le Mans entry and the sole Belgian to drive a prototype. Val Hillebrand will get the support in Le Mans of the Flemish Industry. Hillebrand: "Veryplast Belgium has experience in motorracing, as the company already supported drivers in LMS and the Spa 24 hours etc. The know the power of our sport and without any doubt the exceptional opportunities of an event such as Le Mans." Val Hillebrand is of course very satisfied with his return to the legendary French track. "Last year, I didn’t start, but I already drove here three times", explains Val who celebrates his 26th birthday right after Le Mans. "My best result until today was my 8th position in 2002 with the Racing For Holland Dome. I’ve always dreamed of doing this and when I was 16, I even moved to Le Mans to join La Filière in Le Mans. Every day, I passed the Courage factory and now I’m driving for them. I’m very pleased to be on the start grid of the biggest race in the world again." Summary of Testing for the 2007 24 Hours of Le Mans. Testing, eighth and final hour. LM P1 : le duel des titans a démarré ! Bourdais fait trembler Audi !